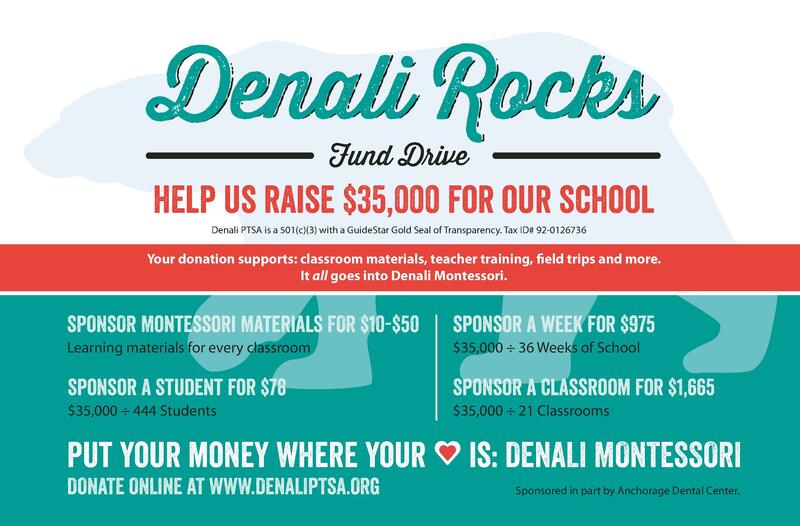 Denali Rocks – our annual fundraiser. 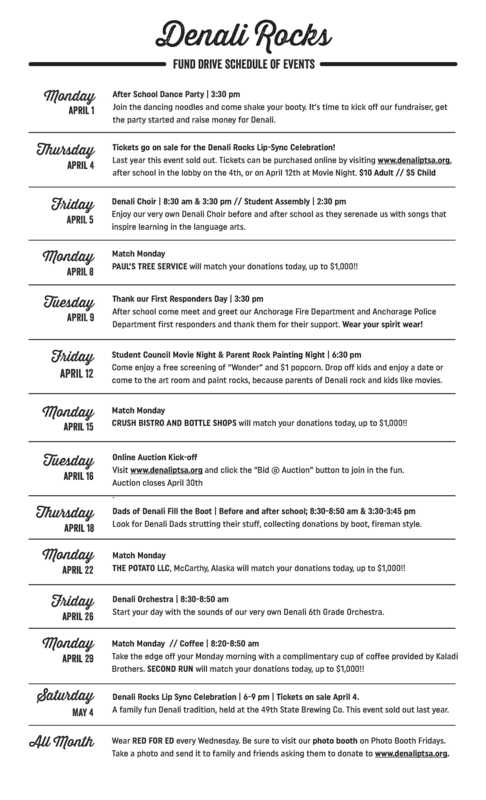 Help us raise $35,000 for our school during the month of April. Tickets are limited, WE SOLD OUT LAST YEAR.